As Kitsap Regional Library went through our rebranding process, we considered how well everything about the Library communicated and embodied our newly-clarified mission, vision, and values. We quickly saw that a redesign of the website would allow us to do this more effectively. We wanted a visit to krl.org to offer a user experience of the same high quality as a stop at our brick and mortar buildings. I participated in the team that came together to set the vision and oversee the development of the new website. First, we worked together to articulate the experience we wanted our users to have when they visited our site. These became our goals for the new design, and guided everything from our selection of a developer to the site's architecture to the smallest design decisions. Their next book, movie, music, etc. The new site also needed to be responsive, eliminating the need to maintain a separate mobile site or app. Once the high-level user experience goals were defined, the team dove into translating them into a product. In my role on the team, I helped review the RFP and select the design firm, reviewed and tested various iterations of the beta site, eliminated jargon, advocated for the needs of my patrons based on analytics and focus group data, and engaged my team in the process to create buy-in for the change. The resulting website is a living document. It never stops improving! Because of the user-friendly Drupal CMS, many members of our staff can actively contribute to keeping the website vibrant and relevant. I moderate content for my Adult Services and Bookmobile/Outreach teams, whose members can blog, add events to the online calendar, and manage relevant web pages. Having many hands and eyes involved keeps maintenance manageable. This collaboration is possible thanks to our clear shared goals and communication guidelines, which allow us to work independently while making consistent choices. We also started with the minimum viable amount of content, and both expand to new content and improve existing pages as we go. I love that we live our core values of "deliver excellence" and "never stop learning" by keeping our site in a constant, but non-intrusive, state of improvement. 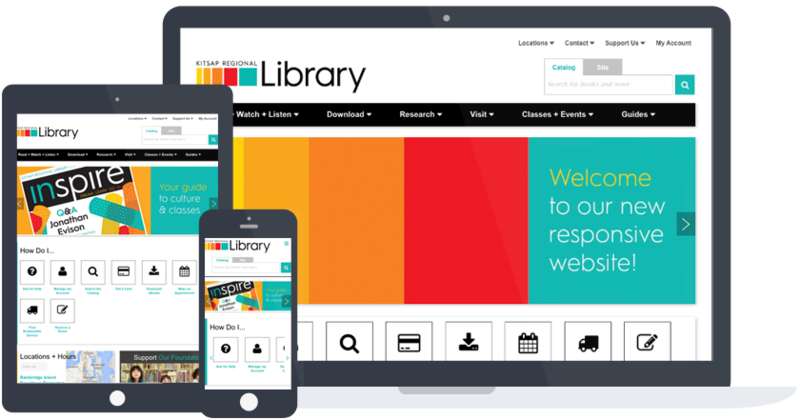 The new krl.org truly reflects our brand by delivering on our core values and creating a welcoming, positive experience for our users.